Ryan in South Africa. 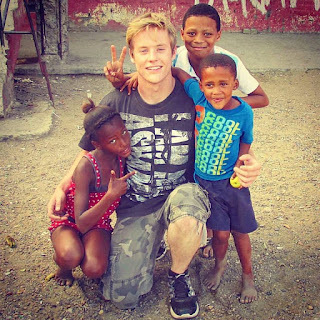 He serves with YWAM there as a missionary. I met Ryan in Okinawa this year near the end of Februray since then I have seen many miracles and also have stayed connected with Ryan via Voxer, an app that allows users to send recorded messages to one another. Despite being only 22 years old Ryan has a plethora of wisdom and experience in the supernatural. This is an interview I did with him using Voxer back in May. He shares how he first experience God's supernatural power and continues to share some amazing stories of how ordinary people can walk like Jesus did in the LOVE and POWER of God. Ryan will be in Japan from 9/2 and will be in Osaka from 9/8-9/12, Fukuoka on 9/13 and the rest of his time he will be ministering in Okinawa till the end of October.